We live in a technological era where most people live a sedentary lifestyle and the ones that live a moderately active lifestyle end up working at a desk and sitting all day. This is not the burden of the individuals. It is the reality of the world we now live in, where most people either work in front of a desk sitting on a chair or work at home sitting in front of a computer. Since this lifestyle can’t be avoided due to the structured job routine of this generation, the greatest thing anyone can do for themselves is to have adequate knowledge of the adverse effects of these actions. Learning how to cope with or avoid the negative effects is key to good health. So the question is: is standing now more harmful to heart health than extended sitting according to new study? According to a new study by the American journal of epidemiology, it was discovered that people that stand all day, such as cooks, have more risk of developing cardiovascular disease when compared to people that sit all day. The standing all day was found to be more dangerous than sitting at your desk all day, due to the assembling of blood in the limbs, and the force needed to pump blood back to the heart frequently. We live in a world, where everyone is quick to judge the guy that sits in front of the television all day. Everyone calls him jobless, but the question what about the manager that sits in front of an office desk 8hrs a day? Is he better or more protected from heart disease? He only earns more money, but medically they are both at risk for various diseases. Sitting all day in front of the television is not the enemy. Sitting for an extended period is the dangerous habit that need to be changed. There is also a common misconception, that, it doesn’t matter if you sit all day, but go to the gym regularly. The question is, are you at risk of heart diseases if you sit all day, but go to the gym regularly? The answer is yes; you are still at risk, even if you work out moderately for at least 3o minutes, at least three times per week. Having a constant training schedule in the gym, only reduces the chances and risk of having cardiovascular disease, but does not eliminate them. The truth is since you have taken the bold and right step of having a good training schedule, which is good for the heart, why not try to sit less during the day to further benefit your heart. American heart association(AHA) declared that in our generation, too many people spend more time on chairs and sofas which are dangerous for the health of their heart. There is no point in creating all this awareness against sitting for all day, without telling people why standing is preferable to sitting. 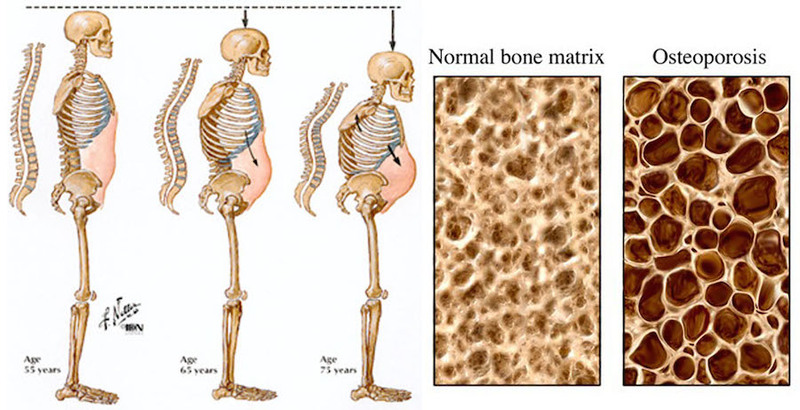 Standing is preferred to sitting because whenever we stand up, our body starts a cascade of mechanism that helps in lipolysis, glycolysis, and proteolysis. This mechanism helps in preventing various heart diseases. Whenever we sit, psychologically, our body shuts down into a relaxation mode, leading to different hazardous effects on the body and the heart. Sitting for a long time can have a negative effect on the cardiovascular system. According to a journal written by the American college of cardiology, shows that sitting for 10hours a day escalates the risk of heart disease in women when compared to those that sit for 5 hours per day. Sitting is dangerous for the heart because when we sit for an extended period, the speed of blood flow reduces, and the rate of lipolysis by muscle decreases, leading to increased chance of clogging of the heart by fatty acid. When you start feeling any strange symptoms, and you sit for an extended period, contact the nearest cardiologist near you. The negative effects of sitting for an extended period has a lot of effects on the body. Other than the heart, it has negative consequences on other parts of the body. Diabetes mellitus: Extended sitting has a negative effect on the body, response to a hormone called insulin. Insulin is the hormone responsible for reducing glucose in the body by transporting the m to the cells. In an idle individual that sits on a desk or sits for an extended period, the idle cell doesn’t respond to insulin, so the pancreas keeps producing more insulin, which carries more glucose to the cells leading to diabetes. Risk of cancer of the colon: Sitting for a long time increases the risk of cancer due to excessive insulin production, and because when we stand up or walk, there are increase cancer-fighting free radicals released by the body. When we sit for an extended period, we reduce the potential effects of this cancer fighting free radicals, at this moment predisposing us to increase the risk of cancer of the colon. Degeneration of muscles: In an active individual, or while standing or walking, we use our abdominal muscles for stabilization and support, this stabilizing and supporting functions of the abdominal muscle is eliminated when sitting for a longer period, leading to a condition called hyper lordosis or sway back phenomena. It can also call hip tightening and atrophy of the gluteus muscle due to a prolonged period of inactivity and use. Disorders of the legs: When we leave an active lifestyle, walk, or stand, we increase the rate of blood circulation in the body, but when we sit for an extended period, the blood circulation flow is reduced leading to a pool of blood in the legs. The pool of blood can manifest in the form of swelling of ankle and varicose vein. This pooling of blood in the legs could predispose an individual to a condition called deep vein thrombosis. When we put the muscles of our legs to work, we create a mechanism that helps improves the thickness of our bones to adapt to this workload. Sitting for an extended period deprives the body of these benefits, leading to softer and less dense bones due to prolonged inactivity. This action predisposes people to a condition called osteoporosis. Increased mortality rate: It was discovered that there is an increased death rate in people that sit for an extended period when compared to individuals with an active lifestyle of standing and walking. There is a recent discovery that every hour you spend watching television reduces your lifespan by 25 minutes. The main aim of this research is to encourage people to move more and avoid the quiet type of lifestyle. Cognitive impairment: When we stand up, there is increased blood flow to the brain, but sitting for an extended period, decreases the blood flow to our brains. This reduced blood flow, decreases the functioning capacity of the brain causing slow thinking and impaired cognitive function. Vertebra damage: standing, walking, and increased activity help in frequent contractions of the vertebra and back muscles. During sitting, there is reduced contraction which can lead to various intervertebral disc damage, and can also cause a sore back and neck. Impaired digestion: It has been discovered that sitting for an extended period after eating leads to impaired digestion, and can cause symptoms such as slow digestion of food, abdominal bloating, and cramps. It is advisable to stand or take a light walk after eating to aid digestion. Since we can’t tell people to stop working due to the adverse effect it would have on their financial status, we can tell people tips on how to manage their jobs, to maintain their health. Standing while on the phone, instead of sitting. It was discovered that we spend a lot of time talking on the phone at work or visiting with our friends. We can make a little positive change in the habit by standing while talking instead of sitting. It is also discovered that standing while talking increases the confidence of the speaker. Don’t quit your job, but try to stand while making a call. Change your conference meeting routine by taking in a walk for your meeting, instead of gathering and sitting in a room. Using a stationary treadmill desk: you can do your work with a desk attached to your treadmill. This office would contain a space for you to put all the gadgets necessary for your job. This method ensures that you are never stationary all day or living a sedentary lifestyle. Form a habit of talking to a co –worker often instead of sending numerous emails. Mobility is the key. Organize your office in a way that would involve you standing often and walking around to pick files. Taking a break of 1to 3 minutes after every 30 minutes to stand. This habits helps to burn twice the calories burned while sitting. Despite the awareness of the negative effect of sitting for an extended period in front t of a desk, we can’t tell people to stop work but can tell them how to cope. The best shoes for standing are specific shoes that have adaptive specifications for standing for an extended period and helps in preventing various foot injury. Look for show that provide excellent support, cushion, and ergo dynamics. Moderation is the key to succeeding in life. This rule is also applicable in medicine. Doing everything in moderation is the way to avoid disease. Striking a balance between sitting and standing helps in preventing cardiovascular disease and other health hazards. Standing for a long duration can lead to pooling of blood in the legs. This pooling of blood can predispose an individual to cardiovascular disease and musculoskeletal system disorder. The question now is, should I sit all day since standing all day has its consequences? The answer to this issue is moderation. Restraint and striking a balance to these opposing actions is the way to avoid health hazards. Just as, drinking too much water, or overeating is harmful to your health, do you because of that stop eating or drinking? No, you only do it in moderation. Avoiding sitting or standing for too long is the key to avoiding all of these health hazards. Are you confused? Should I sit or stand? Is standing now more harmful to heart health than extended sitting according to new study? Moderation and balance is the answer to this confusing question. If your work requires you to sit all day, take time to stand up and take a walk often. If you are a cook, and your job requires you to stand all day, take a break and sit once in a while to balance the blood flow. Are you feeling any signs and symptoms of cardiovascular disease? Consult the best cardiologist near you. Clark, B. (2014). The health hazards of sitting. [online] Washington Post. Available at: https://www.washingtonpost.com/apps/g/page/national/the-health-hazards-of-sitting/750/ [Accessed 14 Sep. 2017]. Collins, B. (2017). Standing up at work linked to heart disease risk. [online] NewsCut. Available at: https://blogs.mprnews.org/newscut/2017/09/standing-up-at-work-linked-to-heart-disease-risk/ [Accessed 14 Sep. 2017]. Corliss, J. (2017). Too much sitting linked to heart disease, diabetes, premature death – Harvard Health Blog. [online] Harvard Health Blog. Available at: https://www.health.harvard.edu/blog/much-sitting-linked-heart-disease-diabetes-premature-death-201501227618 [Accessed 14 Sep. 2017]. Hutchinson, A. (2017). Standing all day is twice as bad as sitting, according to a new study. [online] Fox News. 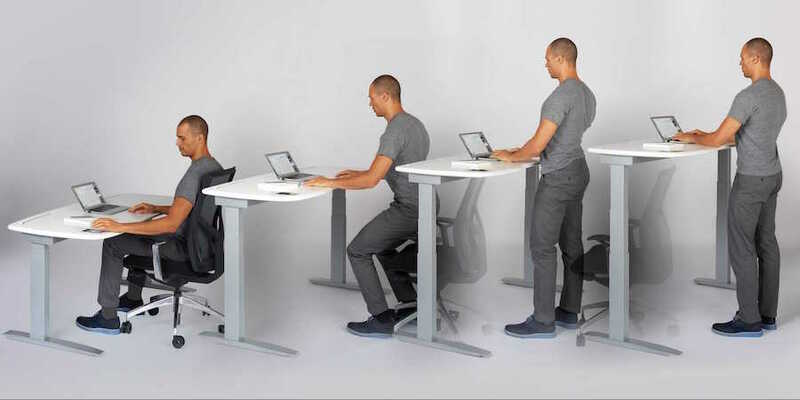 Available at: http://www.foxnews.com/lifestyle/2017/09/05/standing-all-day-is-twice-as-bad-as-sitting-according-to-new-study.html [Accessed 14 Sep. 2017]. James, a. (2017). Too much sitting is bad for your health. [online] Mayo Clinic. Available at: http://www.mayoclinic.org/healthy-lifestyle/adult-health/expert-answers/sitting/faq-20058005 [Accessed 14 Sep. 2017]. Smith, P. (2017). Standing too much at work can double your risk of heart disease. [online] The Conversation. Available at: https://theconversation.com/standing-too-much-at-work-can-double-your-risk-of-heart-disease-83629 [Accessed 14 Sep. 2017].